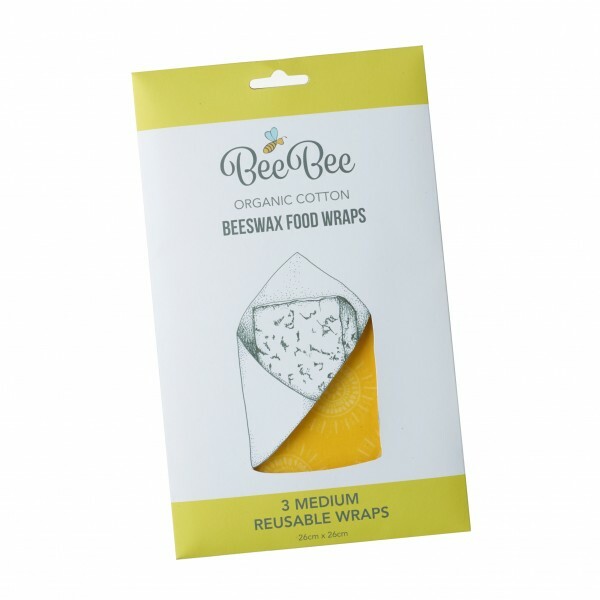 Reusable beeswax food wrap, keep your cheese fresh naturally. Instructions for useUsing warm hands wrap around food to create a breathable seal. These beautiful beeswax wraps are the perfect natural alternative to clingfilm for wrapping your cheese at home. Mase in Cambridge by BeeBee Wraps, they are made from organic cotton, local beeswax, natural tree resin and organic jojoba oil. A fantastic and sustainable plastic alternative. Using warm hands wrap around food to create a breathable seal. Hand wash in cold water and eco-friendly soap. Not for use with raw meat and fish, dishwashers or microwaves. Intermittently, recharge your BeeBee by ironing between two sheets of greaseproof paper, peel away while still wet and hold aloft until dry. Love your BeeBee and it will last up to twelve months. Then simply throw on the compost!